Both heart attack and heart failure are one of the major health-related problems and are life threatening too. But often people take the two as one by not being able to differentiate between heart attack and heart failure. To understand each of these heart problems individually, one should be aware of the differences between them. Let’s check how a heart attack is different from heart failure. When the arteries which are connected to the heart gets blocked. The blood flow gets stop due to which the heart muscles are unable to get the oxygen which reaches through the blood. As a result, the heart muscles start dying. 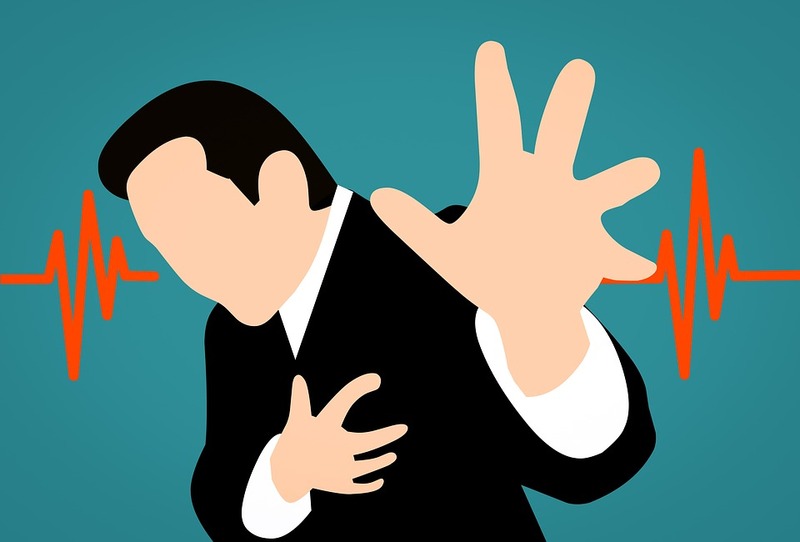 A heart attack does not happen slowly, as it occurs suddenly. Heart failure occurs when the muscles of the heart slowly start becoming weak. And they are not being able to pump the blood to reach out to different parts of the body. So, in this situation, the chances of heart failure are more if the timely treatment is not done. Heart failure is not sudden, it occurs slowly when the condition of the heart gets worse. • The formation of a blood clot due to the breakage of a piece of plaque resulting in blockage of blood flow can cause a heart attack. • When the coronary arteries walls tear off, it can also be one of the causes of heart attack. • The coronary arteries contraction can also lead to heart attack. There are numerous causes behind heart failure, as many of the diseases can also lead to heart failure. • Thyroid disease, heart valve disease, and lung disease can lead to heart failure. • Sometimes infections can also become the reason for heart failure. • Hereditary heart defects can also cause heart failure. • HIV/AIDS can also be one of the causes. • Any problem in the muscles of the heart or the irregular heartbeat can cause heart failure. • Excess of alcohol consumption also leads to heart failure. • Chemotherapy is also one of the reasons for heart failure. There are different symptoms of a heart attack, and not every person can have the same symptoms. • An irregular heartbeat can be one of the common symptoms of a heart attack. • Pain in the chest or feeling some pressure in the chest. The pain can be mild also or can be severe too. • Facing trouble in breathing. • In women one of the common symptoms of heart attack is fatigue. • One may also feel the pain in arms, stomach, neck, back, and jaw. • Cold sweat, vomiting, nausea, and dizziness are some other symptoms. Just like the heart attack, heart failure also has different symptoms. And the symptoms may differ for every person. • Irregular heartbeat or fast heartbeat is a common symptom of heart failure. • Breath shortness or trouble in breathing. • Swelling in legs, ankles, and abdomen due to the buildup of fluid oedema. • Nausea, fatigue, tiredness, are also the symptoms of heart failure. In both the cases, you can refer to a cardiologist for the checkup or the treatment. Rush the patient immediately to the hospital, for the heart attack treatment. As heart failure is a slow process, so one should start getting the treatment as soon as they discover any risks of heart failure. Generally, the medications prescribed in both the cases are quite similar. Depending on the situation and the condition of the heart only the doctor starts the treatment. In the worst cases of heart attack and heart failure, the person may have to undergo surgery also.